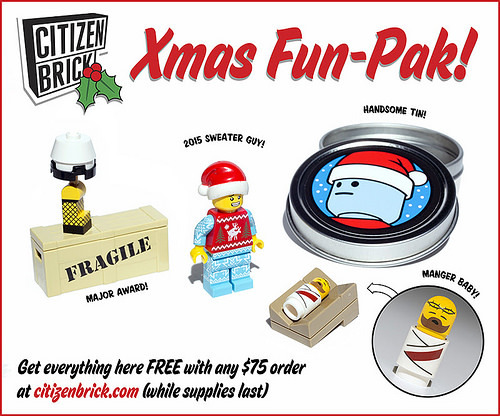 Our good friends over at Citizen Brick have just announced their Black Friday deals, centered on a batch of new custom minifig packs and a pretty sweet “Xmas Fun-Pak” you can get by spending $75 or more. I’ve never regretted a single purchase I’ve ever made from Citizen Brick, and the CB team are some of the nicest people in the LEGO vendor community I’ve had the pleasure to meet. 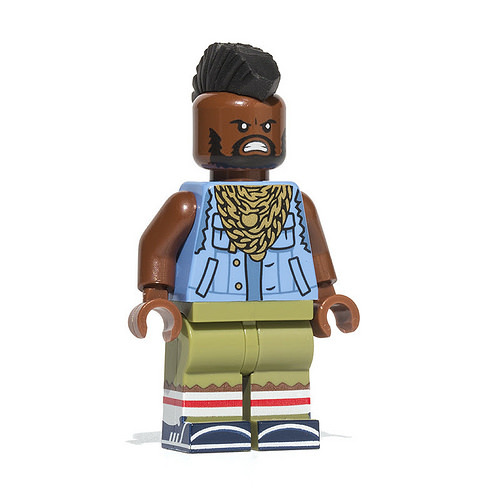 While you load up on all those discounted bricks on Black Friday, consider spending some of your LEGO budget to help support this innovative, boundary-pushing small business as well. Supplies are limited (I’ve missed some pretty awesome new items myself in the past), so take a nap after that turkey dinner and set an alarm for midnight Central Time so you can get shopping! Bowling Buddies – Dude, I love them!